No phonics! No complicated "systems"! Ready to use! Start now! Tens of thousands of people used our free, STEPS simple Spelling Programs! 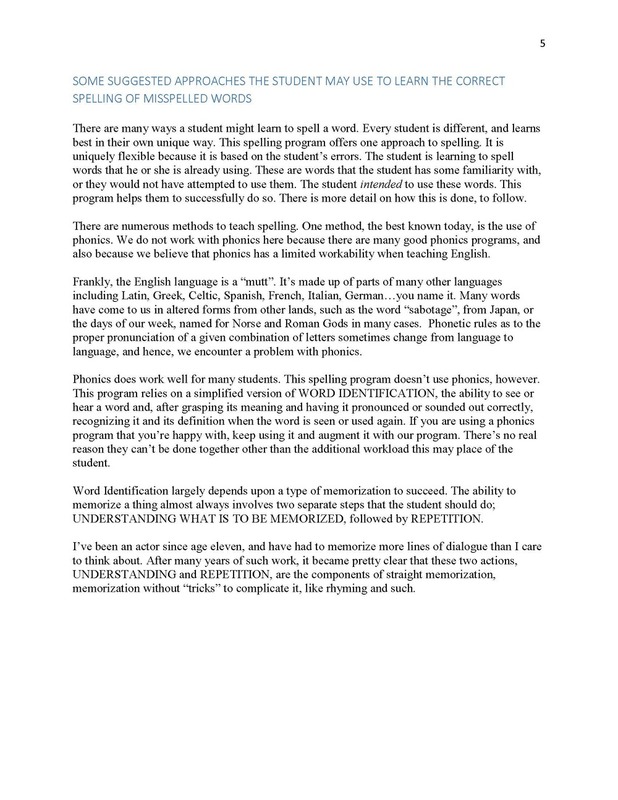 (No longer available) Here is a far more thorough version, with tools and suggested methods that will help Step 3-4 students (ages 9-adult) improve their spelling. The core technique is the same, and is based on Whole Word Identification. But many new suggested tools will help the student (and teacher) succeed at improving spelling. 40 weeks worth of blank weekly forms are also provided.